HIGH QUALITY GRAPHIC DESIGN, PROFESSIONAL DTP (DESKTOP PUBLISHING) LAYOUTS & PRINTING PREPRESS (FLYERS, LEAFLETS, ADS, POSTERS, BILLBOARDS, NEWSPAPERS, MAGAZINES, BOOKS, PRODUCT PACKAGING DESIGN & MOCKUPS); WORD PROCESSING; WEB DESIGN (PAGES, ANIMATED BANNERS, LOGO DESIGN, MULTIMEDIA & POWERPOINT PRESENTATIONS); WEB PAGE BUILDING (HTML & CSS; WORDPRESS), GUI (GRAPHICAL USER INTERFACE) DESIGN (APPS & GAMES), BITMAP & VECTOR ILLUSTRATIONS, UNIQUE, MODERN & URBAN ARTWORK (BACKGROUNDS, LANDSCAPES, DRAWINGS); PHOTO EDITING & PHOTO MANIPULATIONS; CHARACTERS DESIGN, 2D CHARACTERS RIGGING, MOTION GRAPHICS (ANIMATIONS & COMPLETE VIDEO PRODUCTION), RAW VIDEO FOOTAGE POST-PRODUCTION, VFX (VISUAL EFFECTS), FULL ANIMATED CARTOON VIDEO PRODUCTION; MUSIC COMPOSING & MUSIC PRODUCING (TECHNO / ELECTRO, BREAKBEAT, DUBSTEP, PSY, DANCE, DISCO, POP, ROCK, REGGAE, AMBIENT, DEEP, CHILLOUT, ACTION OR MYSTICAL SYMPHONY ORCHESTRA, BRIGHT, HAPPY, CHILDREN & ANY GENRE OF CHOICE...); AUDIO (SOUND) ENGINEERING (PROFESSIONAL VOICE RECORDINGS (ACTING, SINGING), POST-PRODUCING & CREATING FINALS FOR GAMES, TOONS, PRESENTATIONS OR OTHER VIDEOS (AS VOICE OVERS), MAIN OR BACK VOCALS FOR MUSIC / SONGS; ORIGINAL SFX (SOUND EFFECTS) CREATOR; COMMERCIAL AUDIO & VIDEO PRODUCTION (CORPORATE PRESENTATIONS, TV ADVERTISEMENTS, INTRO / OUTRO ANIMATIONS, FULL MOVIES, NURSERY RHYMES, ORIGINAL ANIMATED VIDEOS FOR KIDS KNOWN FOR VERY POPULAR CARTOON SERIE on YOUTUBE "MAMA VOLI BEBU - MAKSIMOVE AVANTURE" (all characters and events in cartoon are based on real Nykk's life - Maxim is their son, Mommy is his wife, Masha is their puppy and Daddy is himself)... - OR ANY OTHER WORK and STYLE REQUESTED). CLICK HERE for "RUNNING SNAKE - CLASSIC VERSION" or CLICK HERE for "RUNNING SNAKE - XMAS EDITION". Running Snake (Ide Zmija) - FREE, Addictive Platform Game for Android! Popularni YouTube video junaci – od sada i u vasem domu // Popular Youtube Video Characters Finally Goes Live! 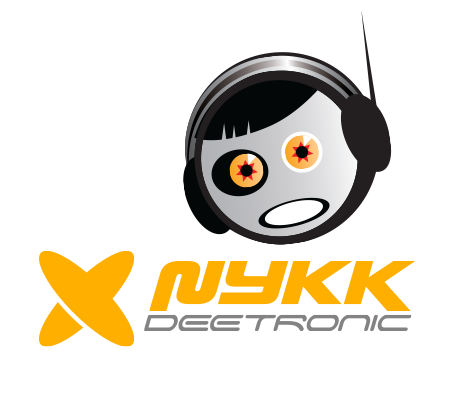 Nykk [Nikola Tomic ex djnick] Deetronic is a music composer [started on Amiga gear back in 1991] and multimedia artist / graphics designer using latest technology, tablets and gadgets and is composing various styles, like break-beat, trip-hop, electro, deep, even psy / progressive trance and psybient [ambient / relaxing / chill-out], but for market purposes he is also creating urban music for young. His Live Acts are performed with Lap-Tops running Renoise tracker wired with latest iOS and Android music programs playing and mixing live on its devices [Tablet and Phone devices] and is playing / mixing only his own composed music. When he is not into music world, he is working as Multimedia Artist. 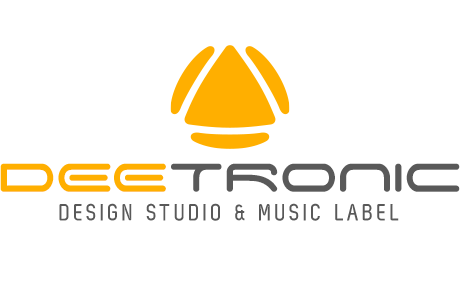 His Deetronic Design Studio company is re:activated in 2012. Deetronic Shop section is opened since december 2013.